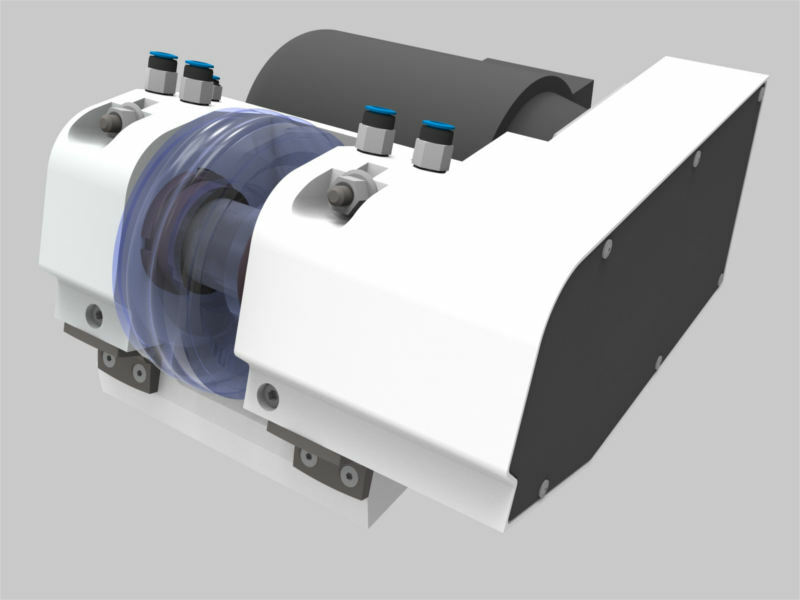 Our profile-roll-system, type 350, is optimized to dress profiles on grinding wheels. The used dressing mandrel is fixed in it´s clamping device and can be additional equipped with sealing-air and cooling supply. This allows a dressing process under strong conditions (grinding dirt, high pressure of cooling during process). The drive method is available in U- and Z way by using a belt or in direct way. 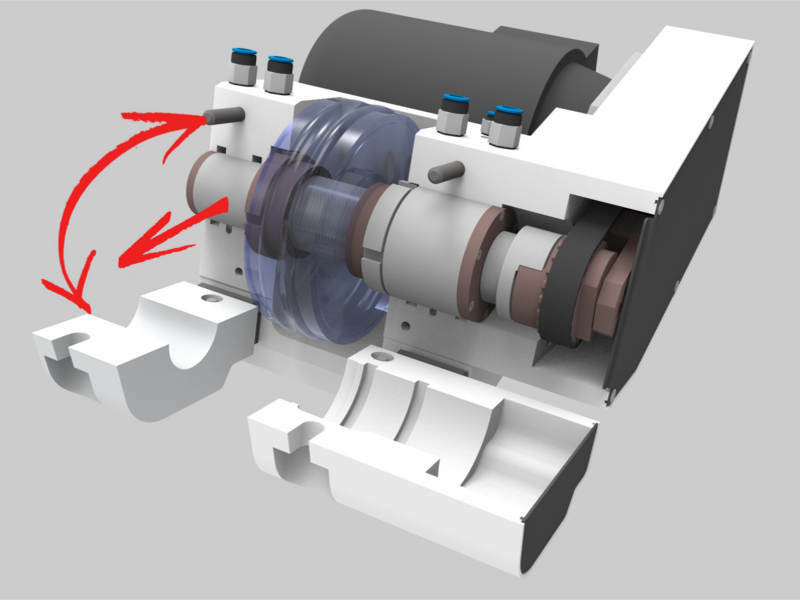 Our fast-changing-system allows a mandrel change, including its diamond roll, within short time by loosing both clamping shells, thus you are able to remove the complete unit without demounting the belt. By default, a belt-crack-detector is mounted. An additional speed-detector, as well as an acoustic emission sensor can be mounted optionally. This allows you to control your dressing step even better. Those kinds of systems are found mostly on flat- and round grinding machines, but are available for every grinding application. Based on this type 350, every individual customer request can be realized.